My rating: 8.5/10. Very good watch, atomic timekeeping. 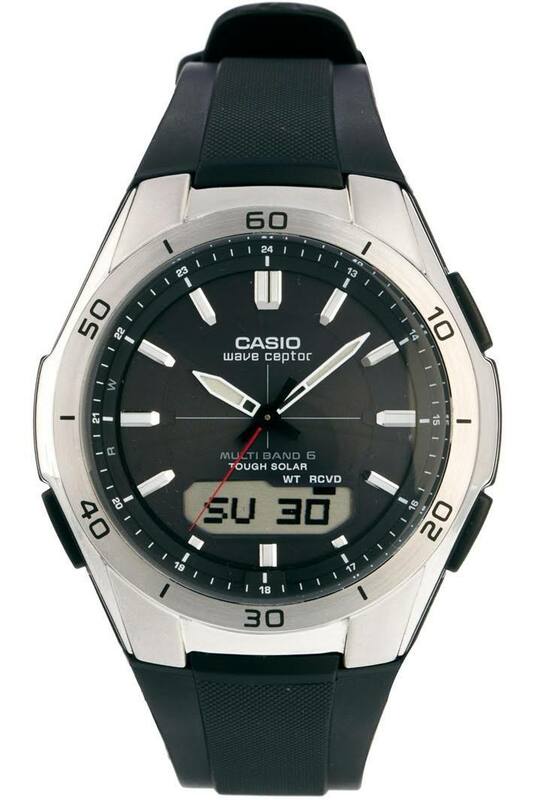 Today I’m doing a Casio WVA-M640-1AER review. 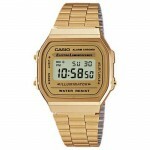 Casio is one of the leading Japanese watch makers at the forefront of innovative high-tech timepieces. The Wave Ceptor range offer a great selection of features, one of the more prominent is its atomic radio controlled timekeeping. This model also features the use of ‘tough solar’ Casio’s take on solar powered watches, I’m a big fan of solar powered watches so it’s great to see this included. 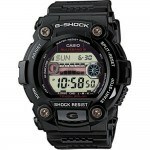 Other useful features included a stopwatch, countdown timer, alarm and comfortable tough resin strap. Band Comfortable resin strap, standard length, 20mm width, normal buckle clasp. Case Stainless steel casing, sizing diameter: 44 mm and thickness: 13 mm. Dial Easy to read large dial display. Logo at 12 o’clock position. Plastic window material, shatter resistance. The watch uses solar power to function. Atomic radio controlled timekeeping offers a very high level of accuracy as it updates every day. A bright backlight illuminates the dial on request, making it easy to read at night. Some people find these watches a little hard to set up at first. As with anything new, once you’ve got the hang of it, it’s very easy to use. 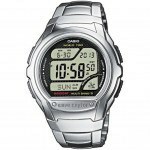 The Casio WVA-M640-1AER is yet another great watch from Casio. I love a lot of the Wave Ceptor range and being a big fan of solar powered watches it’s safe to say I would happily recommend this watch. It’s feature rich and I like the dial design with the black/white contrast between the hands and the dial, I feel this makes it even easier to read. The resin strap is great as it offers a blend of comfort and durability making this a great watch for use outdoors, don’t forget about the 100m water resistance of course. Overall a great watch at a great price, a well earned 8.5/10 from me. Hope you enjoyed this Casio WVA-M640-1AER review. Find more watch reviews below.